Scott Tixier was born on February 26th, 1986 in Montreuil, France to an artistic family and from an early age he was surrounded by music. His mother taught dance, but also played piano while his father was involved with the theater, both as a producer and an actor. His brother Tony is also an accomplished pianist. Scott began his musical studies at the age of three at the Montreuil Conservatory where he played percussion and the piano. It wouldn't be for another couple years until Scott would first pick up his primary instrument, the violin. He continued his classical study of the violin at the Montreuil Conservatory, eventually also attending the 10th District Paris National Conservatory. By this time he was studying so intensely at the conservatory that it left little time for school, let alone theater or dance. In the conservatory Scott was studying classical choral singing, harmony, counterpoint, composition, and violin. It was also around this time that Scott became interested in jazz and began studying with his twin brother, pianist Tony Tixier. Together they studied the jazz language and attended countless master-classes by great jazz musicians such as Elvin Jones, McCoy Tyner, Bob Mintzer, Dave Libeman, and Steve Coleman, developing a strong passion for the music. Since 2004 he has been on faculty at "Les Enfants du Jazz" festival serving as the violin professor. Notable performances in Europe include playing at the Paris Jazz Festival, Orleans Jazz Festival, Lamentin Jazz Festival, Jazz à Vauvert, Festival des Enfants du jazz, Nimes Metropole festival and the Sunside-Sunset, Baiser salé, Jazzcartoon, Café Universel, Autour de midi, and the Trianon. Scott moved to New York CIty, in 2008 and has continued his career as both a sideman and leader. Since moving to the United States, Scott has appeared at Lincoln Center, Smalls Jazz Club, The Stone, Williamsburg Music Center, Cachaça, Joe's Pub, Brooklyn Lyceum, and the Capitol Building in Washington DC, among many other venues. In 2007, he won the first place in the "Trophées du Sunside," one of the most important awards for young jazz musicians in France. The concert was broadcast on Radio France. Since 2008, Scott endorses Corelli Savarez strings. 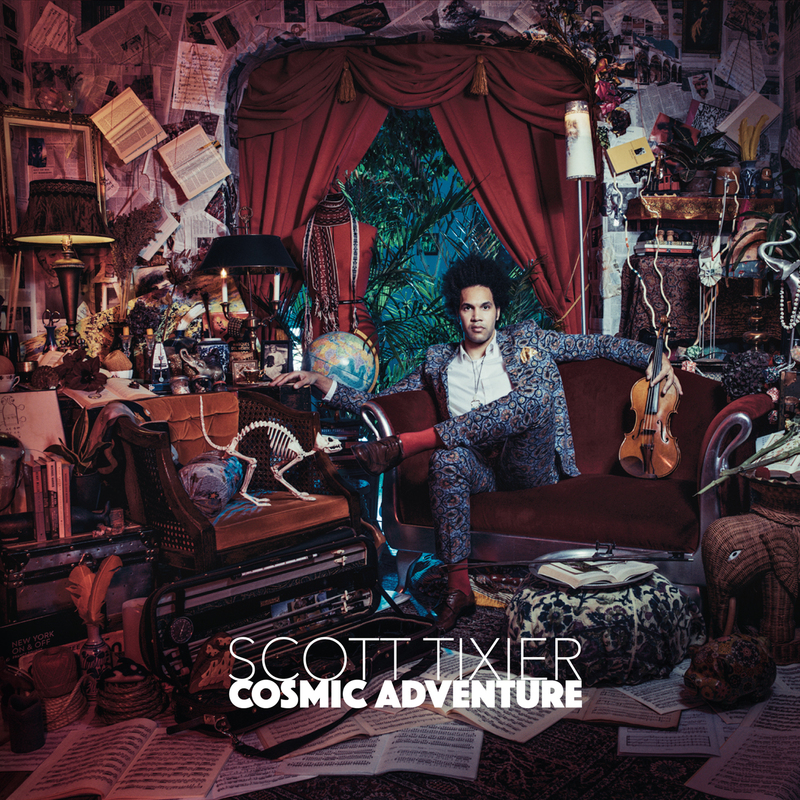 "Scott Tixier is an excellent young musician who in an amazing short period of time has found a place for himself within the elite community of New York jazz musicians, no small feat." 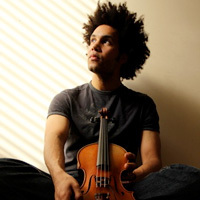 "Scott Tixier is an exciting young jazz violinist and is making an international name for himself. I heard him in France and was immediately struck by his individuality and his sound." "I first heard Scott Tixier I was immediatly seduced by his relentless swing and his neverendng flow of ideas. I later met him in Paris during a tour of mine. He was performing at the Sunside with his band. And I was even more impressed, because I was able to feel the incredible amount of energy generated by his playing"
"Il est très consistant, Il a déjà "Son" style, très bon phrasé bebop, excellente mise en place." "Scott is a fine young jazz musician. He possesses all of the attributes"
"Il a remporté les trophées du Sunside 2007, qui est la plus prestigieuse récompense du jazz parisien pour un jeune artiste talentueux. Ce succès confirme avec éclat que son jeu dépasse et de loin ce que nous avons l’habitude d’entendre en violon jazz. Ce style nouveau qu’il développe encore tous les jours risque fort d’être un repère important pour le futur." "Scott Tixier est un violoniste virtuose, il a une maniere de jouer le violon tout a fait nouvelle, c'est magnifique"
"But I wanted to get some people: there are two violinists -one is really up-and-coming and very talented, named Scott Tixier, I wanted to get him a gig [at the Stone]. And then there’s another one who’s older, so I don’t want to say he’s “up-and-coming”, but he’s really talented and not maybe so known, named Zach Brock." Tixier Reviewed in Jazz Magazine! Scott Tixier's "Brooklyn Bazaar" reviewed in the May 2012 issue of Jazz Magazine (France)! Nice feature on Scott Tixier in the June 2012 issue of DownBeat.